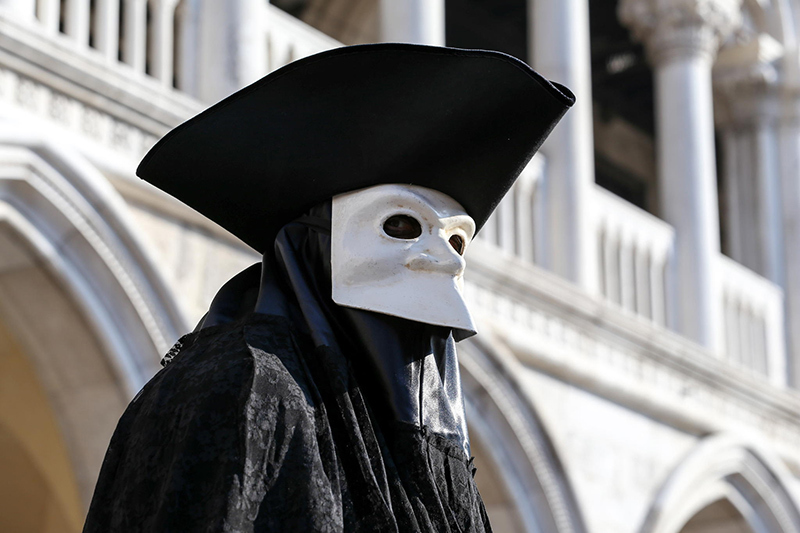 The masks of Venice: what are they and why do people wear them? 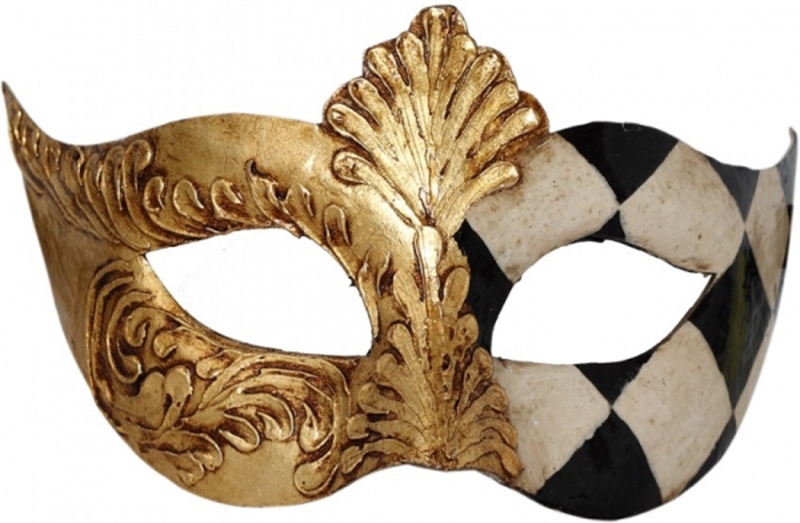 The masks of Venice are a centuries old tradition and have been worn throughout history. Today you will find people wearing them during the carnival di Venezia, an annual carnival ending with the celebration of Lent. 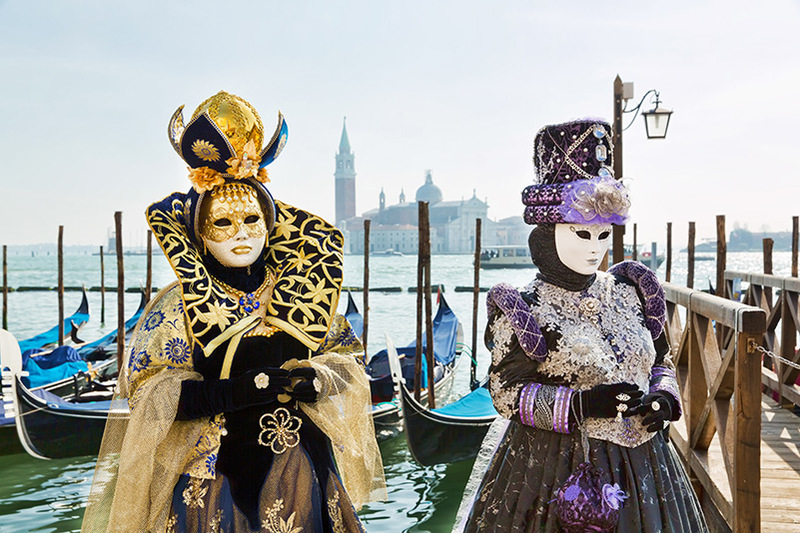 Throughout this time the streets are filled with people draped in magnificent outfits, with matching gilded masks. If you’re lucky enough to see the festivities, then you’ll discover how the mix of extravagant ensembles and Venice’s romantic architecture, make you feel as though you have been transported back in time, when dignitaries threw decadent parties and hid behind the masks to partake in romantic encounters or criminal activities. But if you don’t make it to Venice for the carnival, the northern Italian city proudly display masks everywhere, hanging from market stalls and lining the windows of every shop. 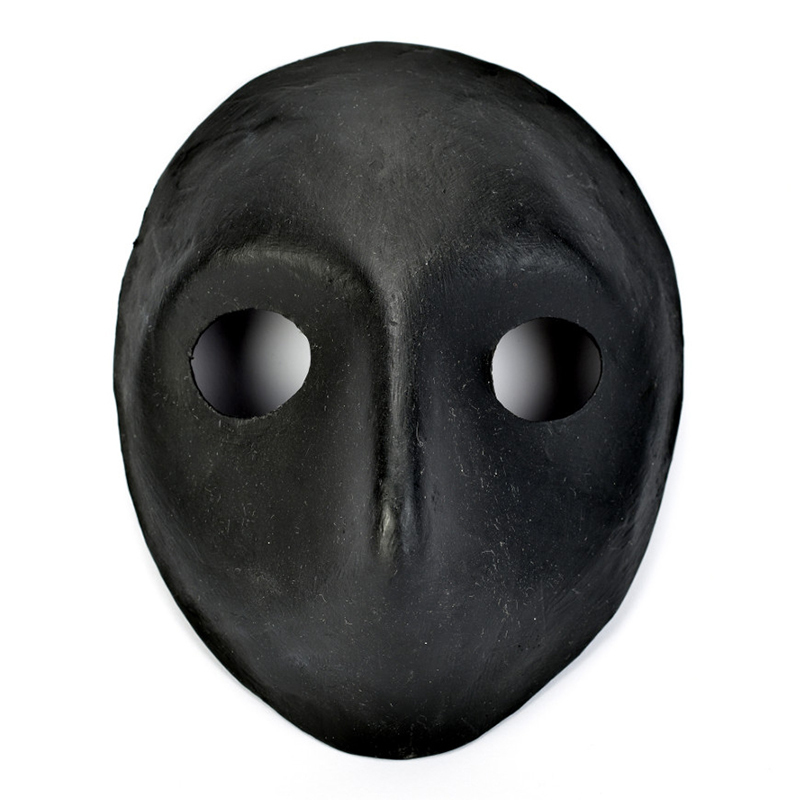 These masks are a delight and if you’re considering a trip to Venice and plan on astounding your friends with your very own Venetian mask, then you may want to know the differences between a volto and bauta mask, don’t worry we’re here to help. This mask covers the entire face with a pronounced chin, nose and no mouth. The chin line normally points up to allow the person to eat, talk and drink. They were traditionally considered a piece of art and those who wore them would pair it with a red cape. At the beginning of the 18th century, people wore them at certain political decision-making events, it was thought to guarantee equality and secrecy in a democracy. This mask became popular after an actress of the commedia dell’arte (a form of improvised theatre, with a cast of colourful characters) did not want her beautiful face covered. The mask is normally painted silver or gold and decorated with feathers, jewels and fabrics, it’s then held in place with a length of ribbon. The Moretta mask may be one of the most unusual designs. It originated in France but gained popularity in Venice, it’s worn exclusively by women and paired with a stylish black veil. To keep the mask in place the wearer would have to hold a small bit between their teeth, rendering them mute, which adds to the masks enigmatic mystery. They have not been widely worn since 1760. This is one of the most popular designs amongst those taking part in the carnival. It’s more comfortable to wear than some of the others and they come in a variety of designs. It was traditional to wear them with a three-cornered hat and a cloak, which added to the masks mystery and beauty. So now you know the different types, you can start your own collection of Venetian masks. Sign up and receive £10 off your first booking!